We publish stories that make people cry, that give them valuable information and yes, also that make them laugh. Here are five stories that had you all in stitches, for at least part of the journey, from nutty families, to domestic texting fro husbands, there's several articles here that will put a smile on your dial. What's sexier than a husband who does housework? We all know there's noting sexier and even more so when he turns it into something hilarious like this funny dad, who 'sexts' his wife with chore photos. 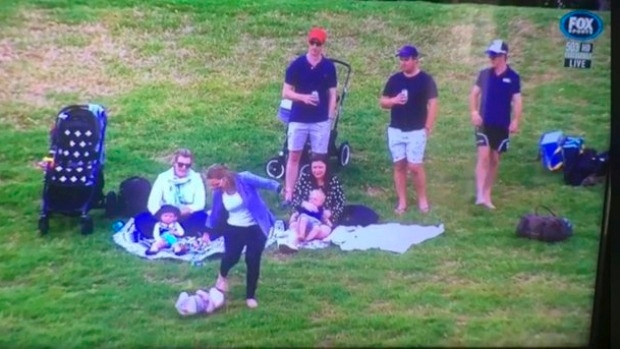 I think all of us can admit our first reaction was amusement, even if it was followed by the realisation that there are some deeper social undercurrents at work in a situation where a baby rolls down a hill and only the mother reacts. Isn't it a relief to discover that other families do really weird stuff too? See if you can relate to these very weird and hilarious antics. Parents of boys will be filled with dread - and belly laughs - after reading this beleaguered mum-of-three-sons' review of Amazon tissues. Read it here, if you dare. After that last hilariously horrifying article, the sweetness of the bedtime requests of littler people will provide laughs and refreshment.